The first JBL Flip Bluetooth speaker was a small wonder. 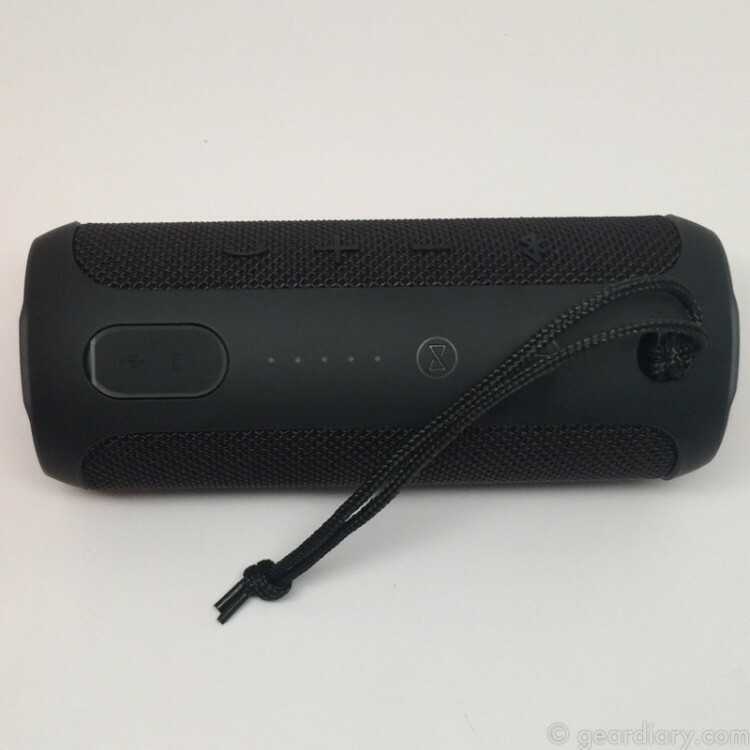 Its audio quality put the Jawbone JamBox to shame. 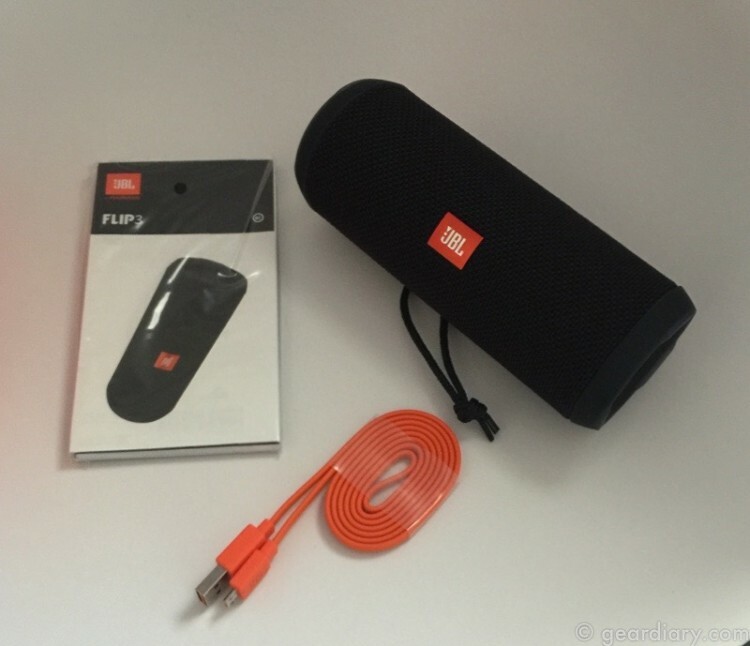 The second generation JBL Flip improved the sound and ditched the unique charger in favor of a universal microUSB. The JBL Flip 3 goes further by improving the sound, adding deep base and going splash-proof. It’s impressive and under $100! JBL kept the Flip moniker for the speaker but it no longer is the same Flip we’ve come to love. (And love we have!) While the first two Flip speakers worked in either landscape or portrait, with the speaker sitting lengthwise or vertically, this JBL Flip 3 adds opens bass ports on either end. That means you really don’t want to put the speaker upright and block one of the bass ports. That’s not a huge deal but it is something worthy of note if you have been a fan of either of its predecessors. It does, however, look similar and maintain the ultra-compact design many of us have come to love. In exchange for the loss of the flip” you get better bass, a bigger sound and a splash proof design. Not a bad tradeoff if you ask me! 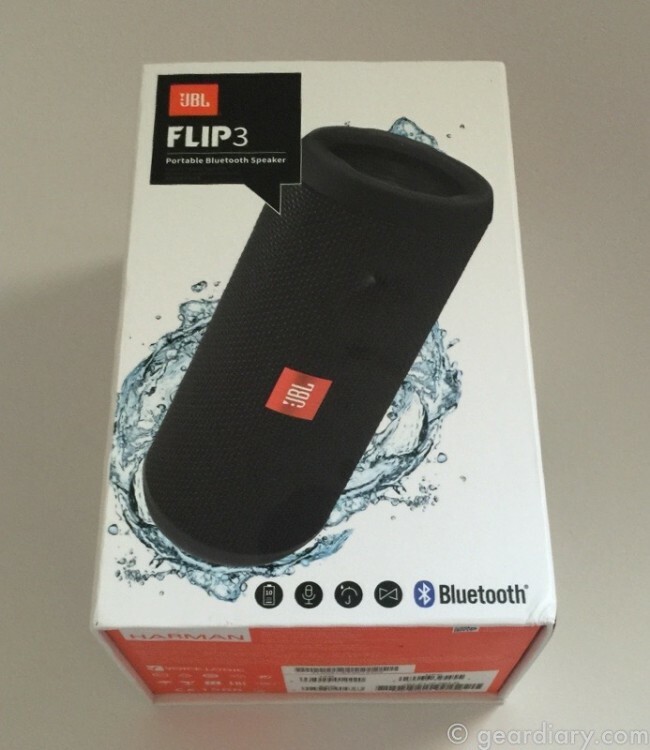 JBL Flip 3 is a splash-proof portable Bluetooth speaker that delivers surprisingly powerful, room-filling stereo sound in an ultra-compact form. 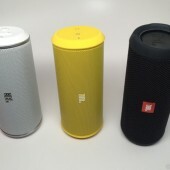 It features a rechargeable battery that offers 10 hours of playtime, noise and echo cancelling speakerphone, and JBL Connect technology that wirelessly links multiple JBL Connect enabled speakers together. 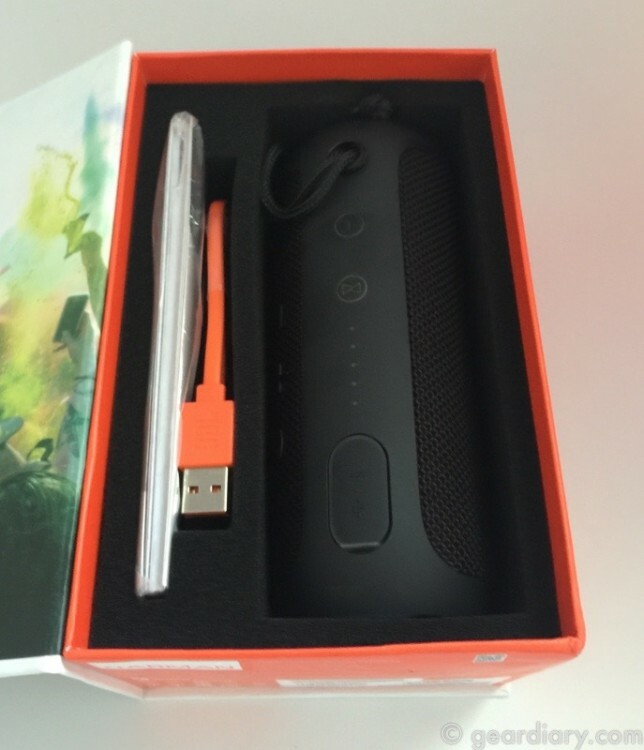 Inside the box you will find the JBL Flip 3, a Micro USB Cable, a quick start guide, a safety Sheet and a warranty card. 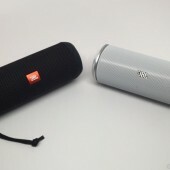 The JBL Flip 3 is powered by a 3000mAh rechargeable Li-ion battery. It serves up 10 hours of continuous audio playtime although your time may vary depending upon volume. This generation Flip is covered in a durable, splash-proof fabric that means you can take it places previous generation didn’t belong. No, it isn’t waterproof but it will put up with more challenging environmental conditions than many speakers its size and price. Available in 8 different colors, there is a Flip 3 to meet pretty much any and all tastes and styles. As you might expect, the Flip 3 isn’t just about listening to your favorite music. 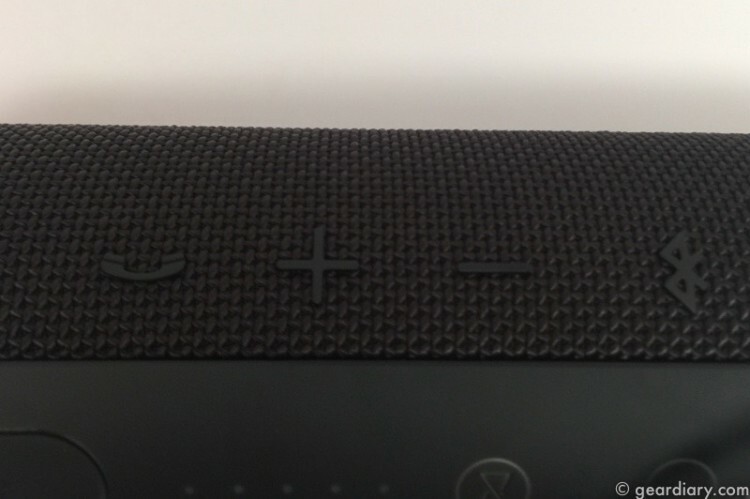 No, this speaker is ready to get busy with business thanks to a built-in noise and an echo cancelling speakerphone. And there’s more! 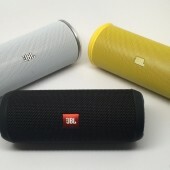 The JBL Flip 3 has JBL Connect technology built into it. This technology means you can wirelessly link multiple JBL Connect enabled speakers together to build even bigger and bolder sound. Wireless Bluetooth Streaming: Wirelessly connect up to 3 smartphones or tablets to the speaker and take turns playing surprisingly powerful, room-filling stereo sound. 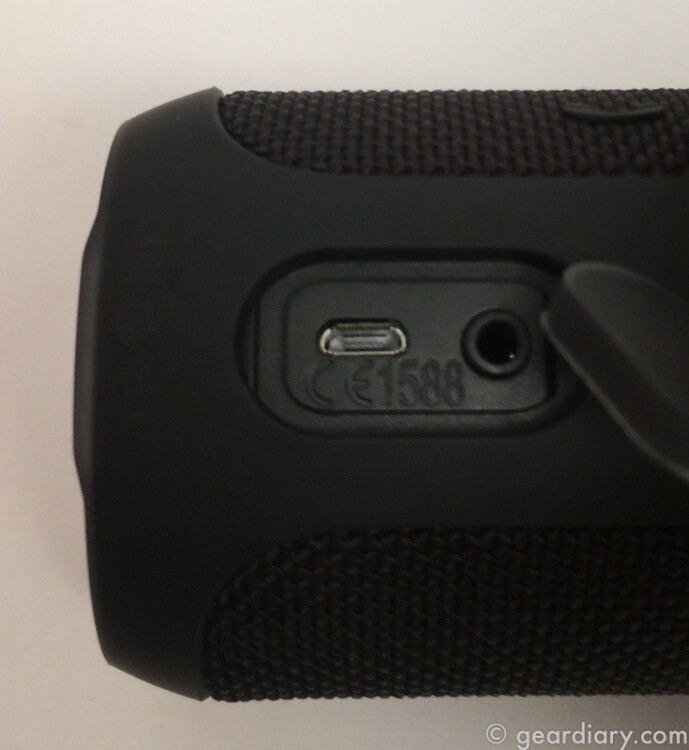 3000mAH Rechargeable Battery: Built-in rechargeable Li-ion battery supports up to 10 hours of playtime. Speakerphone: Take crystal clear calls from your speaker with the touch of a button thanks to the noise and echo cancelling speakerphone. Splash-proof: Splash-proof means no more worrying about rain or spills; you can even clean it with running tap water. Just don’t submerge it. I loved the JBL Flip. 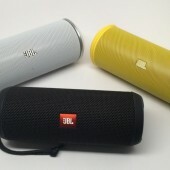 I was blown away by the JBL Flip 2. 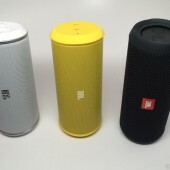 But I am totally smitten with the JBL Flip 3. The addition of the bass radiators and the use of splash proof materials takes one of my favorite small speakers to an entirely new level. And the fact that it is under $100 really blows me away. Learn more and order yours here.